Anyone critical of the hardening U.S. approach to China is now facing attack. That doesn’t bode well for U.S. policymaking. The suppression or exclusion of contrarian views in the decision-making process undermines good governance and is downright dangerous in a country that aspires to be a model for the rest of the world. Government policymakers need the best advice they can get to make decisions that affect the security of a country and its citizens, as well as the world. To provide that best advice, advisers to policymakers need to consider a wide range of policy options and their implications before narrowing the decision choices. To suppress contrarian views predetermines the range of research and possible responses to such issues and is not in a country’s best national security interest. However, that may be just what is happening in the U.S. community of policy analysts that focuses on U.S.-China relations. Indeed, with U.S. President Donald Trump’s “America First” policy permeating some sections of society and the government, and U.S.-China relations rapidly deteriorating, analysts of that relationship are coming under increasing pressure to toe the increasingly strident U.S. line. Put bluntly, policymakers may not be getting “the straight dope” and feasible alternatives may be buried in a summary slanted toward the perceived preferences of the advisers and policymakers. This is a road the United States has been down before and should not want to go down again. Indeed, some think this is one reason why the United States has recently wound up in so many disastrous foreign misadventures. 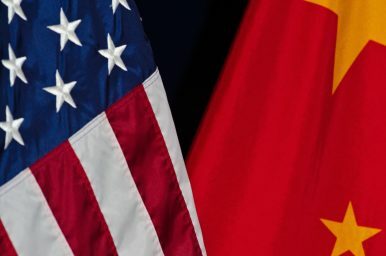 The U.S. Central Intelligence Agency has detailed “China’s far-reaching foreign influence operations in the U.S.” particularly those targeting academics. FBI Director Christopher Wray says that “naiveté on the part of the academic sector” has aggravated the risks of China’s influence in the academic world. “I think it’s going to take a whole of society response by us,” Wray added. Hopefully Wray is not hinting at a government-encouraged, society-wide wave of intimidation of views that differ from that of the current government policy. But whether intended or not, such statements embolden those who would cast aspersions on — and even censor and blacklist – scholars whose analysis and conclusions they do not like. “There are already tremors of this emerging around the edges of the foreign and strategic policy community including think tanks and the academy,” Rudd adds. It makes one wonder if anything critical of the U.S. position vis-a-vis China is considered by these China hawks in and outside of government as Chinese “propaganda,” “sympathizing” with the “enemy” or — worse for an analyst’s reputation – the slanting of views for money. For America’s sake, I certainly hope that is not so.